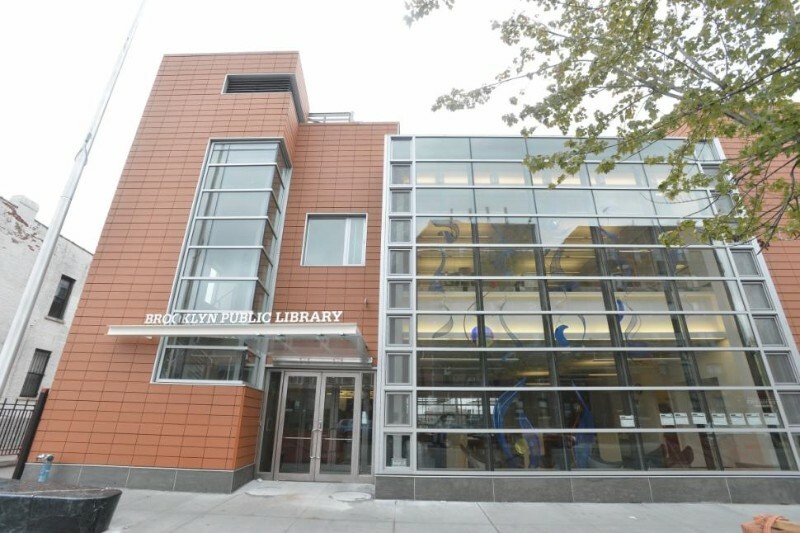 The New Kensington Library opened on Thursday, November 15, 2012! Founded as a deposit station in 1908 by the Mother’s Kindergarten Club of PS 134 and the Kensington Improvement League, Kensington quickly outgrew two locations before becoming a full-fledged branch on McDonald Avenue in 1912. When it again needed more space, in 1960, it moved, to a former catering hall known as “the Manor” — which was leased and renovated, arousing national media interest. The Branch moved again in November of 2012 to its newly built, environmentally friendly facilities located on 18th avenue.